44cm x 27cm(17.32″x10.62″), thickness 2mm. 100% custom mouse pad with your own artwork. Durable Fabric top is dust and stain resistant. 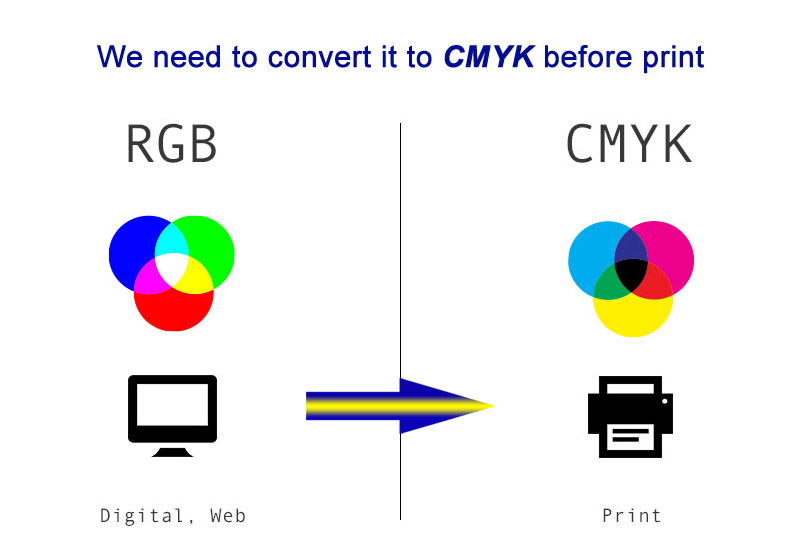 Free Artwork edition to ensure better printing quality! 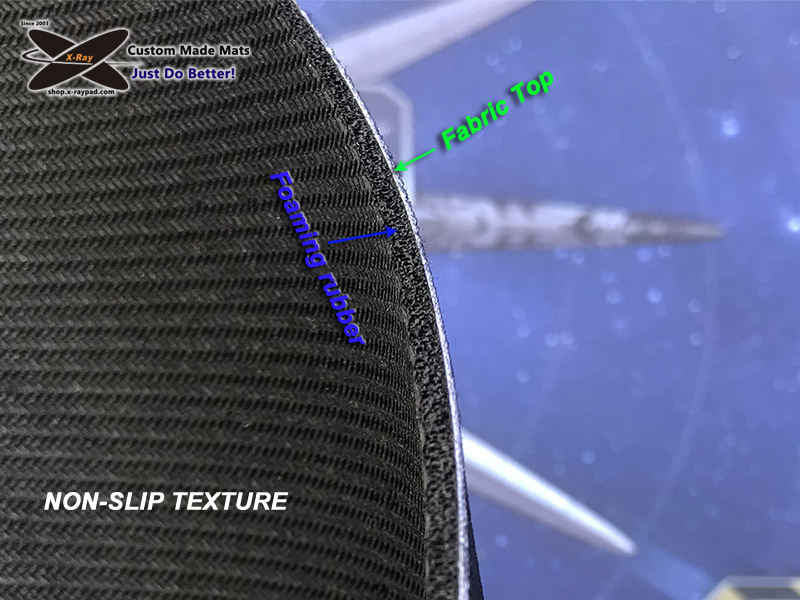 Free edge stitching to ensure longer life! 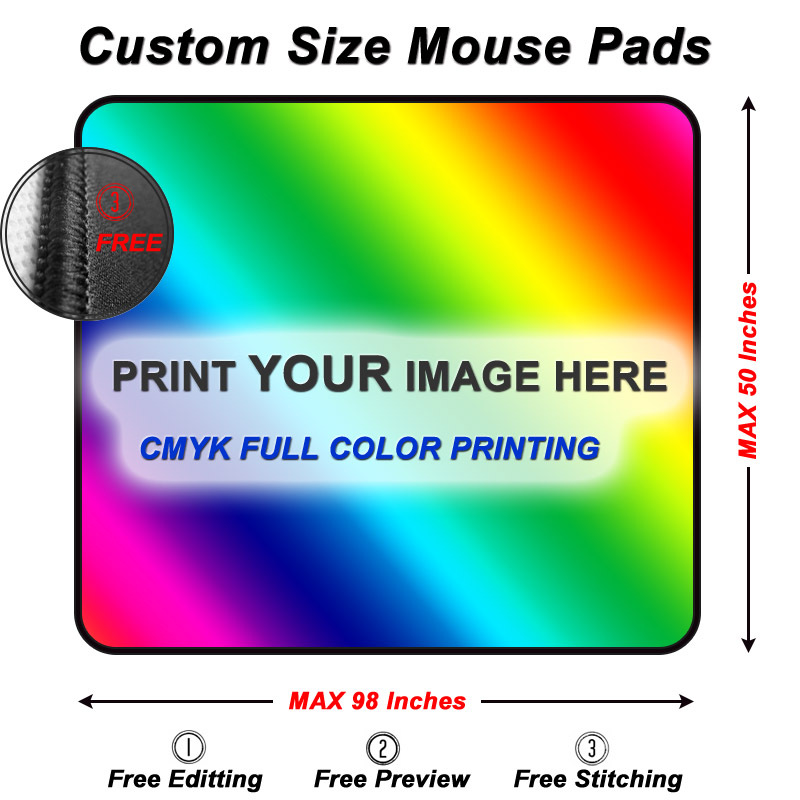 Custom a mouse pad for home, office or playing games! Decorate your desk with your favorite image or choose one from internet that looks great and protects your desk from scratches. It will offer a stable moving tracking when playing games. 44cm x 27cm(17.32″x10.63″) , thickness 2mm. 100% custom Colors printing per your artwork. Frame stitched Option ( Now is free ). We offer the artwork template (PhotoShop format), click “the template“ to download if needed. 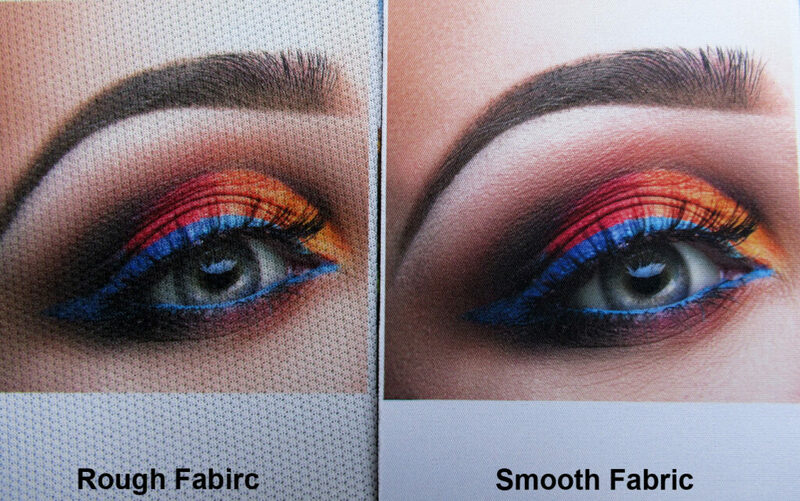 Make sure image size is 450mm x 280mm, about 1/4″ bleed around the sides of the image will be cut off. For more information, please refer to “How to create the artwork”. A resolution of 72dpi is no problem for print and 150dpi or above is best (As long as the picture is clear, there is no problem printing.). For the Artowrk files, we prefer to receive JPG, PDF, PSD, EPS or AI file. 3, Text or logo distance of at least 1/2 inch from the edge. When we receive the artwork, we will ckeck it if it’s good for print.If not, we will tell you the problem.For some light editing, we will do it free for you (e.g. add the image or background to meet right size, etc.). How to create the artwork for the custom mouse pads? The gaming Artwork can be re-designed by our designer, you can use it directly to make same mouse pad for own usage. It depends on the artwork quality, higher PPI(pixel per inch) of the artwork will present higher printing quality, we suggest artwork’s PPI is over 200. 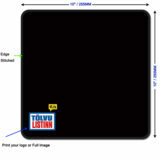 This custom mouse pad size is 440mm(Length) & 270mm(Width). 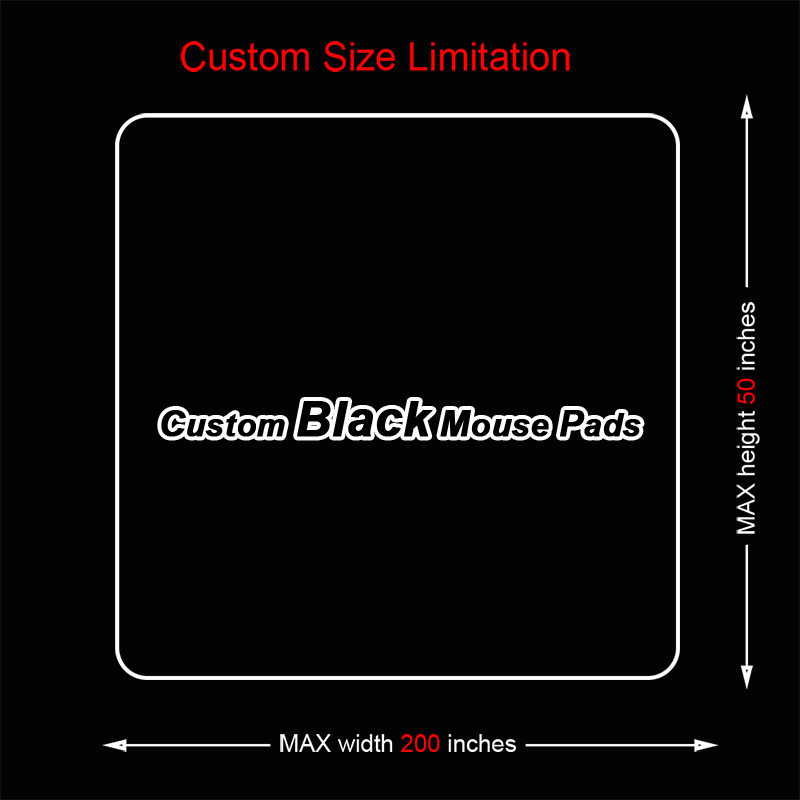 We have many sizes for custom mouse pads, you can measure your desk to find a best fit size for it. 1, Send it through contact form if the file size is not over 10MB. 2, If the artwork file is over 5MB, we suggest you to upload it to Google drive, then give a link to us to download it.